Jack Coleman’s Body Shop beliefs have always been that quality, value and service are the three most important parts of any business. For over 60 Years we have practiced what we preach. At Jack Coleman’s Body Shop our customers come first, and because of that we’ll go that extra step to make sure that getting your vehicle repaired is convenient and as pleasant as possible. That’s why we have invested in some of the most advanced collision repair equipment available. Our facility is experienced and industry trained in all aspects of collision repair….. That is why we can offer a lifetime guarantee on all of our quality work. At Jack Coleman’s Body Shop we have seen our business grow throughout the years due to our commitment to excellence and building a trusting relationship with the people that we serve…… The I-CAR, ASE, AKZO NOBEL, PPG and other certificates that you see when you walk in our office ensure advanced technical training. These certificates are recognized throughout the collision repair industry as symbol of excellence and a commitment to stay abreast of the ever-changing technology of today’s vehicles. 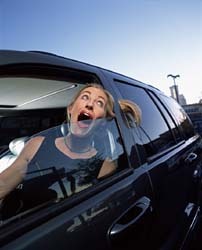 Automobiles of today are very sophisticated compared to automobiles from just a few years ago. Proper repairing and refinishing of these vehicles has truly become an art form. Matching the exotic finishes found on many of these vehicles requires technicians with special training and expertise. Not to overlook the skill of repairing, resetting and testing the SRS systems which include some of the most advanced technological safety features such as front, side and head impact air bags, fuel system overrides and antilock brake systems … When it comes to choosing a repair facility to care for your car, it all comes down to a matter of trust. You want to feel the confidence that comes from leaving your vehicle in capable hands and the assurance that your car will be restored to its original performance and beauty. 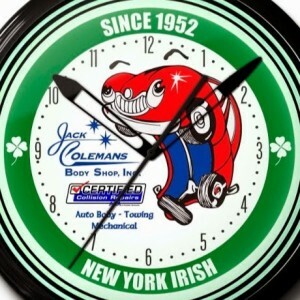 At Jack Coleman’s Body Shop we have earned our customers trust with our integrity. This principle is built into everything we do. No matter what the problem, Jack Coleman’s can help you or we will find someone who can!